A compact, stylish ashtray in powder-coated steel for wall-mounting. Does not protrude far from the wall, which means that it is suitable for universal design. 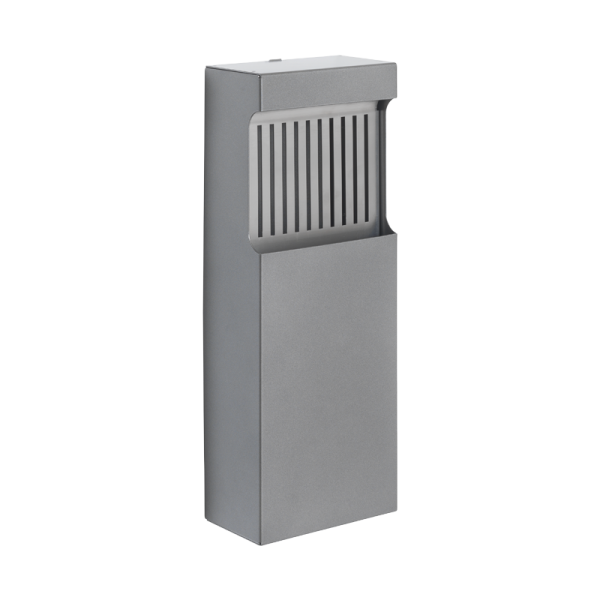 The wall bracket ensures that there is a distance between the bin and the wall, which takes care of the fire safety requirement. Steel ash bin for indoor use, approximately 2 litres, easy to empty. Steel stump disc. Locked with a four-sided key. The standard coating is anti-graffiti, which means that it is possible to remove graffiti without damaging the coating.